Fishing/watersport sandals come in a multitude of guises. The most common—and dangerous—feature of inferior sandals is interior slippage: the cause of many impromptu swims or, in unluckier cases, ankle strains and sprains. The best sandals for fly fishers offer a secure fit, stability and comfort. Two models I recently tested are entirely different products, but both make the grade. Light duty did not enter the conversation when Simms designed the Riprap sandals. 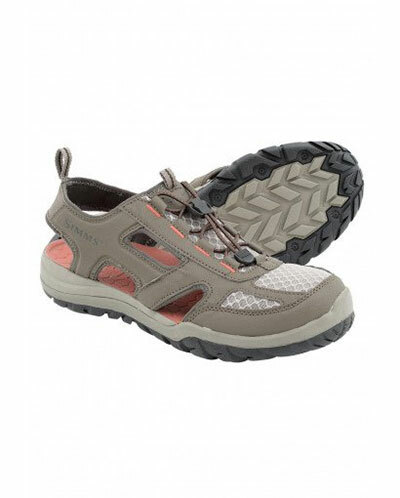 These are shielded, boulder-tramping sandals that take foot protection to a new level. The quick-draining, ultra-heavy duty sole sports a firm and comfortable footbed that won’t leave you aching even after an extended day of wear. Features quick on/off bungee lacing system, an innovative, heavy-duty, hydrophobic upper mesh that repels cling-on invasives, elasticized heel strap, and abrasion-resistant materials throughout. The entire Riprap line is built to withstand abuse, and that includes the sandals. Big bonus: upper is designed to not catch your fly line when you’re making that perfect, Olympian cast. The Native Z/2 is a minimalist, streamlined, open-design sandal that features only the finest materials. The Vibram sole and footbed are out-of- the-box impressive, with a bomb-proof construction and build. Top-tier footbed contouring results in excellent forefoot control and comfort that I have no reservation describing as luxurious. Adjustable straps feature a soft polyester webbing that dries fast and maintains a consistent fit. 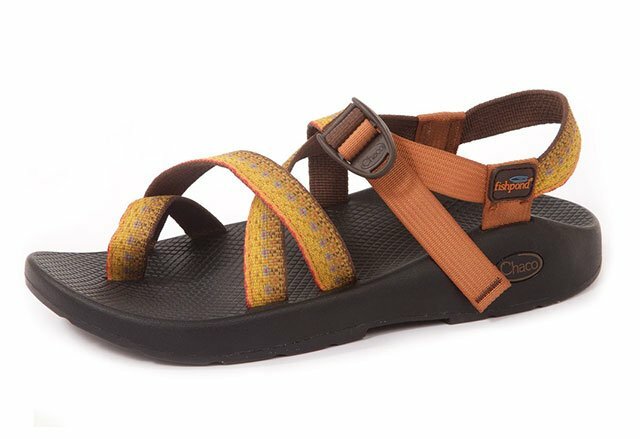 The Z/2 features a wrap-around toe loop that keeps your foot securely locked onto the footbed. Sticky compound in the soles results in an excellent grip on wet, slippery surfaces. Sandals often trap sand or foreign debris, but the Native Z/2s clear in a snap and with minimal effort.